Last night I had dinner with my friend Blain Howard at Tamba, a new Indian restaurant on that stretch of Lexington Avenue in Murray Hill known as Curry Hill. We were joined for much of the meal by the restaurant’s owner, Sikender Malik, a former civil servant from Delhi who for a number of years ran Malika Palace in Queens and Malika in Midtown Manhattan. His wife Daljeet is the executive chef. Since they’re from Delhi, the food at Tamba is mostly northern Indian, but, Sikender explained, the restaurant that previously occupied that space was a southern Indian restaurant, so they kept some southern dishes on the menu — dosai, iddly etc. — to try to retain some of the previous restaurant's customers. The name Tamba means copper, which Sikender said was good for you — that if you let water sit in a copper vessel overnight and then drank it, it had wonderful curative properties. Might be an Ayurvedic thing. There is a copper statue of the Hindu goddess Lakshmi, wife of Lord Vishnu, on the bar. She looked well. The place has just been open around nine weeks, but the Maliks managed to snag some good press. Even if they had been open for three months, that’s not a long time, even for New York. So it’s nice press, but it’s not good. It does present a nice view of a tandoor, however, the traditional top-loading northern Indian oven. Daljeet’s chef made her tandoor. That’s the custom: If you’re a tandoori chef, you know how to make a tandoor. That was explained to me back in 1996, when I interviewed Jagat Ram, who at the time was chef of Rang Mahal, a high-end Indian restaurant in Bangkok’s Rembrandt Hotel. He said a tandoor is made of clay mixed with some straw, jute and finely powdered glass. It’s shaped into a round oven, open at the top. A wood fire is built inside the oven and it burns for a couple of days, acting as a sort of reverse kiln. Another layer of clay mixture is applied and then it’s fired again. Next the oven is seasoned, literally, with a mixture of yogurt, salt, mustard oil and a coarse brown sugar called jaggeri. That’s used to coat the inside of the oven and it’s baked again, but more slowly this time, because if the fire’s too hot you run the risk of cracking the entire oven, and you’d have to start over. That seasoning process is repeated five to seven times. It not only helps to insulate the oven (burnt, liquefied sugar is pretty serious stuff), but it also keeps the clay from flaking off onto the food. That’s particularly important because naan and other flat breads are placed directly onto the walls of the oven when they’re baked. The seasoning mixture, along with the jute and clay, help to insulate the oven (burnt, crystalized sugar is pretty serious stuff. The long list of contenders for this year’s James Beard Foundation Awards was whittled down today, when the actual nominees were announced. Of the 91 names on the list for the chefs and restaurant awards — not counting those in the Best New Restaurant category — 53 were on the list last year, too, which is kind of par for the course. It’s probably fewer returnees than last year, actually. Most categories usually have three or four of five nominees returning from the previous year — obviously not all five can return because someone has to win and then is ineligible for a number of years. But this year there was a big shakeup that I don't understand in the Outstanding Wine Service category, in which only Blackberry Farm returned. The Outstanding Service Award and the regional awards for the Mid-Atlantic, Southwest and Pacific have just two returning nominees. For the Beard Awards, that’s almost revolutionary. Still, I shall endeavor to predict the winners. Mind you, these are not my choices for who I’d like to win. They are who I think will win based on how popular they seem to be with media. Because although anyone can participate online in the process of picking semifinalists, the judges in the two rounds of voting required to pick the actual nominees and the winners are former winners and the food writers who made them popular in the first place. It’s kind of an insular world, and people tend to feed off of one-another’s opinions. That being said, my predictions don’t have a great record. This will be my fourth year of Beard Handicapping. The first two years I guessed 7 out of 19. Last year I got 8 out of 19. So, that’s less than half, but quite a bit better than a monkey picking at random (and if you think about it like baseball, I batted .421 last year). Now let’s get on with the predictions, shall we? We have Andrés, Colicchio and Goin returning from last year. Both of the newcomers are from San Francisco and I think they’ll split that city's vote. The question is, are the judges tired of Tom Colicchio or worried that José Andrés is too creative for these serious times? If so, they’ll express love for the homey food of Sunday dinner at Lucques and vote for Suzanne Goin. But I think star power will prevail and Tom Colicchio will win. Babbo, Boulevard and Highlands Bar & Grill are back from last year, but the newcomers, Daniel and Spiaggia, are hardly new. It’s never wise to predict against a victory for Mario Batali or Daniel Boulud. We’re in the mood for classics this year, which means Spiaggia has a good chance. But I think I’ll predict Daniel. These are all the same guys as last year except for Pat Kuleto, who’s replacing last year’s winner, Drew Nieporent. Will judges feel bad about not picking Boulevard as outstanding restaurant and vote for its owner, Kuleto, for restaurateur? I’m thinking they won’t. Keith McNally is not particularly press-friendly, which could hurt him or help him depending on whether food writers like restaurateurs who play hard to get. I think mostly they don’t like that. Oh who knows? La Grenouille and Vetri are back from last year. The rest are new. Robuchon’s Las Vegas restaurant is up for three awards this year (service, the regional award for the Southwest and pastry chef). But I think Grant Achatz’s star power will outshine it. I think Alinea will win. This category actually kind of matters, because you only have one chance to win it. I suppose it’s possible that Marea and Locanda Verde will split the New York vote, except Flour + Water, Frances and RN74 are all in San Francisco. Does that mean Biboou in Philadelphia will slip through like a beta salmon while the big fish duke it out? Maybe, but I think Marea will win. Kamel Guechida, Nicole Plue and Mindy Segal are all back. I predicted that Mindy Segal would win last year, and I’m going to predict it again. This award, given to a chef aged 30 or younger, is important because it can really help launch a career. Johnny Monis, Gabriel Rucker and Sue Zemanick are all back from last year. Tim Hollingsworth doesn’t really need to have his career launched as he’s already chef de cuisine at The French Laundry, but we love the House of Keller (Hollingsworth's predecessor, Corey Lee, won this award), and I predict he will win. Paul Grieco of Hearth in New York is the only newcomer here. He could win, but I think we’re going to go with booze this year, so I predict Julian P. Van Winkle, III of Old Rip Van Winkle Distillery in Louisville, Ky., will win. Blackberry Farm’s the only returning nominee, and maybe it’s back for a reason, but I don’t think the media love affair with Frasca is over yet. I predict that restaurant will win. Michael Carlson of Schwa is the only newcomer, replacing Michael Symon who won last year. People like Schwa’s homey style, but I hear so much buzz about Paul Kahan’s restaurants that I think Koren Grieveson, his chef at Avec, will win. Lenny Russo of Heartland in St. Paul is the only newcomer in this group, replacing Tim McKee who won last year. I have to say I have no idea about this one, but a prediction must be made, and so I shall make it for Colby Garrelts. Peter Kelly’s the only newcomer on this list. I know the Frasier-Gaier team at Arrows has to win one of these years, but this year I’m guessing, once again, that it will be Marc Orfaly. Daniel Humm and Michael White are both new in this category, and they’re both super-white hot. Michael White gets to win best new restaurant for Marea, and Daniel Humm was anointed by Frank Bruni as the city's newest New York Times four-star chef. Woe unto he (or she) who dares to tilt at that mighty windmill. 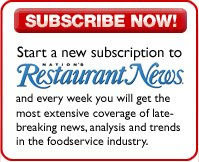 Interestingly, two of the nominees here, newcomer (to this list) Andrea Reusing of Lantern, and Bill Smith of Crook’s Corner, are from Chapel Hill, N.C. Linton Hopkins of Restaurant Eugene is the sole representative from Atlanta. Hugh Acheson is from Five and Ten in Athens, Ga., and Sean Brock, the other newcomer, is from McCrady’s in Charleston, S.C.
Sean actually isn’t a newcomer as he was nominated to be rising star last year, but you can only be on that list for so long. I think he’ll win the regional award this year. Scott Boswell of Stella! in New Orleans and Christopher Hastings of Hot and Hot Fish Club in Birmingham, Ala., are new to the list, although really it’s more that Chris Hastings was just given the year off in 2009. He was nominated in 2007 and 2008. Is the third time a charm? Mmm, I think it’s a toss-up between him and Zach Bell, who’s Daniel Boulud’s chef in Palm Beach. As I said, it’s always dangerous to bet against mighty Daniel, but one must occasionally live dangerously. Ryan Hardy of Montagna at The Little Nell in Aspen and Claude Le Tohic from Robuchon’s restaurant in Vegas are back from last year. You’d think Robuchon would win something, but I’ve been hearing a lot from Rick Moonen’s people lately, and not just because he’s on top Chef Masters, after years of relative quiet. I think it’s his year. I would love for Jeremy Fox to win since he’s since left his job at Ubuntu, for which he was nominated last year as well as this year. It would be a tad awkward. David Kinch of Manresa is also back. Quince, Michael Tusk’s restaurant, I think has the admiration of the Bay Area crowd, but Matt Molina of Mozza has celebrity chefs at his back. Naomi Pomeroy of Beast in Portland and Andy Ricker of Pok Pok, also in Portland, are the newcomers in this category. Together with Cathy Whims of Nostrana in Portland, that means they have three nominees, and Seattle has just two. How embarrassing. One of them might win, but I think the award will go to Jason Wilson of Crush in Seattle. I’ve said it before, and I’ll say it again, these are not necessarily who I’d like to win, they’re who I think will win. All of the nominees whose restaurants I’ve visited or whose food I have eaten are absolutely deserving of this award yada yada yada. If you love Kai restaurant, on 69th and Madison, or have meant to check it out, you have one month left to eat there. Ito En, the tea company that owns Kai, announced that it’s closing the restaurant and tea store on April 9. “... with our lease up on the building, it was a time for us to re-evaluate our business strategy and focus on our core business of ready-to-drink beverages, tea leaves and teabags,” said Yosuke Honjo, chief executive and president of Ito En North America, in an e-mail. But Donguri (309 E. 83rd St., between First and Second avenues), is staying open, and Hitoshi Kagawa, former executive chef of Kai, is running the kitchen there. Giuseppe Viterale thought a pay-by-the-pound churras-caria would do well in the Queens neighborhood of Astoria. So he opened a Samba Grill on 23rd Avenue, near the Astoria-Ditmars stop of the N and W trains. 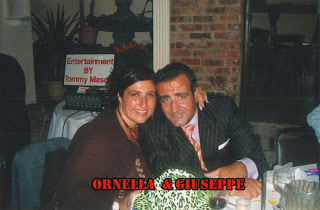 It turned out that location didn’t have enough foot traffic to support it, so last November he transformed it into Ornella, an Italian trattoria named after his wife, who is also the mother of their four children and the restaurant’s executive chef. I ate there last night. The restaurant’s publicist told me that many of the recipes come from Ornella’s family (except for the takeout items like, you know, veal Parmigiana and spaghetti carbonara), but Giuseppe has some influence, too. His father owned mills in an Italian village near Salerno, so he learned a lot about different kinds of flour. So he serves a pasta made with 75 percent chestnut flour (with cherry tomato and arugula in a garlic-oil sauce), and another one — pizzocheri della valtellina — with buckwheat flour, served with cabbage, potato and fontina cheese (it's a Lombardian dish). 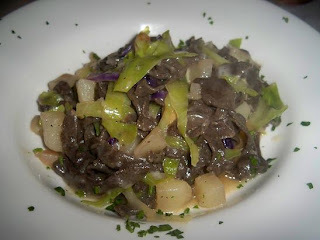 The chestnut pasta dish is the one in the picture. I also had some Nduja — pronounce it and you'll see that it’s a cousin of andouille — a spicy sausage of pork and veal from Calabria that Ornella serves as a pâté on bread — and, because I was in an Italian restaurant in New York City, after all, bruschetta with tomatoes and olive oil. Then I had tilapia in cartoccio (prepared in an aluminum foil balloon along with clams and mussels etc. ; to be broken open at the table so the diner can inhale the garlic-shellfish aroma), followed by a dessert sampler of an Italian sort of flan, cheesecake and chocolate cake. But then Giuseppe was testing out the chestnut pasta with tuna bottarga and wanted me to check it out, too. So I did. The idea was to have that sharp fishiness of the bottarga contrast with the mild sweetness of the chestnuts. I think it worked, but I can't say for sure because I’d just had chocolate cake. What can I say? It’s part of my job. We in the trade media can be pretty self-satisfied sometimes, because we don't cover the same stories everyone else covers. Tiger Woods gets decked by his wife for messing around? We don’t care. A kid goes up in a runaway balloon but not really? We don’t care. Kim Kardashian — well, I don’t even know enough about Kim Kardashian to finish this sentence. So we sit in our offices on Park Avenue and wonder a bit smugly why those people — those consumer journalists — insist on all reporting on the same things, and on things that, quite frankly, are not germane to the interests of their audience. Of course we know why — we might be smug but we’re not stupid. It builds their audiences. It’s what the public responds to. We wondered if we could experiment with this. Was there some way we could connect Sarah Palin, say, with restaurants in a newsy way and report on it? Would that increase our readership? I did a quick Google search for “ “Sarah Palin" restaurant” and was rewarded with the video I have embedded here for your amusement. It’s not newsy. It's from the 2008 election campaign and was posted to YouTube.com on September 28 of that year. It's a visit by Mrs. Palin to Tony Luke’s, which from what I understand is generally the third place for food tourists in Philadelphia to visit for cheese steaks. The first two are, of course, Pat’s and Geno’s. I think the Geno’s crowd is probably a better fit for the former vice-presidential candidate. Anyway, this blog entry is just a test to see if writing about Sarah Palin will increase readership. It’s not a perfect test, but what test is? Even the landmark study indicating that oatmeal lowered cholesterol was flawed. Seriously so, in fact: Test subjects were either given oatmeal for breakfast or bacon and eggs. Did the study show that oatmeal lowered cholesterol or that not eating bacon and eggs every single day for breakfast lowered cholesterol? See? Even though I’m acting like consumer media and writing blog entries to try to drive traffic, I’m still able to educate my readers. Thanks to a groundswell of Jonathon Sawyer fans, the executive chef of The Greenhouse Tavern in Cleveland dominated in last week’s poll, in which I asked you to cast your own vote among semifinalists in the James Beard Foundation Rising Star Chef awards. Indeed, the young chap, who I must say made a breathtakingly delicious clam chowder at an IFEC event I attended awhile back, took 43 percent of all of the votes. He was followed by Kevin Gillespie of Woodfire Grill in Atlanta, with 14 percent of the votes, and Sonja Finn of Dinette in Pittsburgh, with 10 percent. Rounding out the list of five who would make it onto the short list of finalists if the Beard Award judges vote the way Food Writer’s Diary readers did are Sue Zemanick of Gautreau’s in New Orleans, who got 5 percent of the votes, and Timothy Hollingsworth of The French Laundry, who got 4 percent. Now, was this a plot on the part of Greenhouse Tavern patrons, or possibly workers, to stuff the ballot e-box for Jonathon? Almost certainly — my readership from Ohio jumped significantly last week. But other restaurants could have done the same thing. They did not. A total of 85 people participated in the poll. Full results can be found below. Now on to what I think is the other important James Beard Foundation chefs and restaurant award — best new restaurant. The other awards are nice to win, but they tend to include a revolving door of favorites, replaced after a time by the protégés of the favorites. But best new restaurant you can only win once. Voting has begun. Click on a button on the long column on the upper right hand part of this page. Who would you pick from the James Beard Foundation's list of semi-finalists as rising star chef?